Capcom has been working tirelessly to improve its image among gamers. Last generation, the company was rightly vilified for its controversial on-disc DLC practices, its penchant for turning every game into an action game and its unwillingness to listen to fans. This generation could not be any more different with the studio adopting more consumer-friendly DLC approaches, returning their franchises back to their roots and showing fans that they do matter. At E3 2018, this came in the form of the return of the blue bomber. Mega Man is back in Mega Man 11 and is sporting a new modern look. We went hands-on with Mega Man 11 at E3 2018 to see if this is the proper return of the beloved character. Dr. Wily is up to his old tricks again in Mega Man 11. Mega Man must stop Dr. Wily from using the new Double Gear system invented by Mega Man years ago. To do so, Mega Man must defeat Wily’s eight Robot Masters before he can finally take down the infamous villain. For his first release in years, Mega Man has been given a new paint job. The modern art style is crisp and colorful all while paying homage to previous entries. Asides from the new look, the remainder of the Mega Man 11 experience remains intensely faithful to its predecessors. The game is still about jumping, firing the Mega Buster, sliding beneath obstacles, and defeating Wily’s gang of neer-do-wells. That’s not to say that Mega Man 11 doesn’t introduce any new game mechanics. In fact, it does add a pretty important mechanic with the Double Gear system. 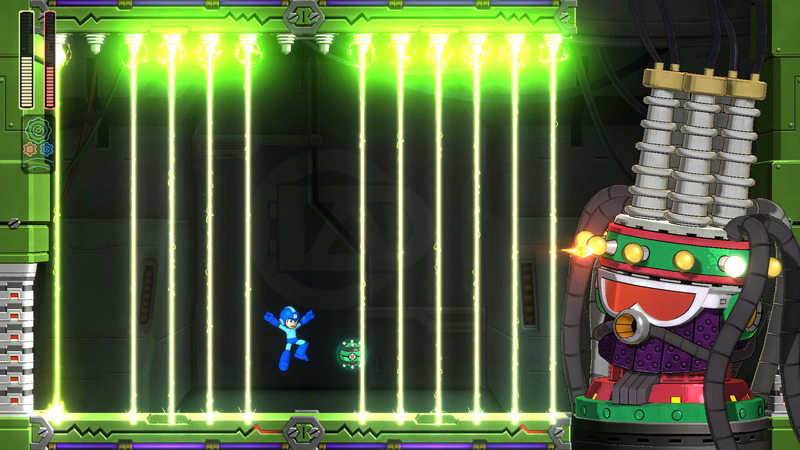 Integral to the plot, the system also offers up the majority of Mega Man 11’s gameplay improvements. The first half of the system is the Speed Gear, which slows down time for a brief period. It makes crossing paths with falling debris less painful or provide additional time to complete a timed sequence. 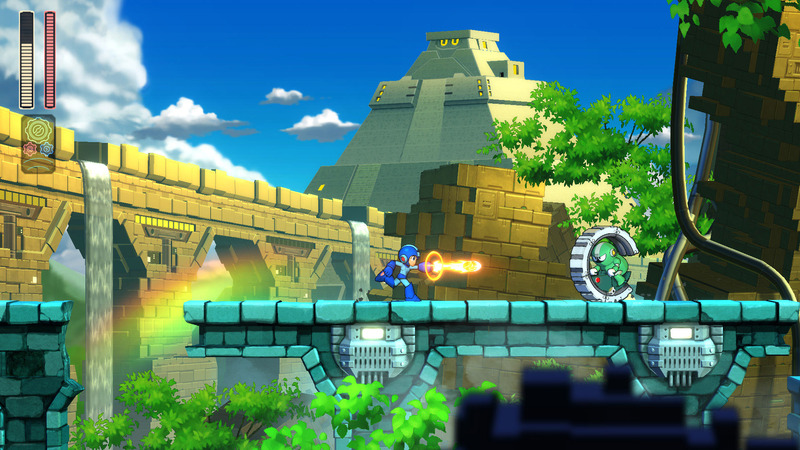 The Speed Gear also helps Mega Man deal with a handful of new enemies, including a rolling foe protected by a wheel. With only one weak spot, hitting the Speed Gear at the right time provides players with enough time to hit the spot. Second is the Power Gear, which allows for two powered Mega Buster shots. The short demo we played provided little opportunity to put this gear to the test, but we could see it being useful in destroying multiple barriers at a time. It also makes quick work of ordinary enemies. After defeating a boss, Mega Man can use the abilities he takes from them in conjunction with the Power Gear. Unfortunately, we weren’t able to see that in action. Keiji Inafune may no longer be with Capcom, but it appears that they’re just as capable at developing a good Mega Man game. 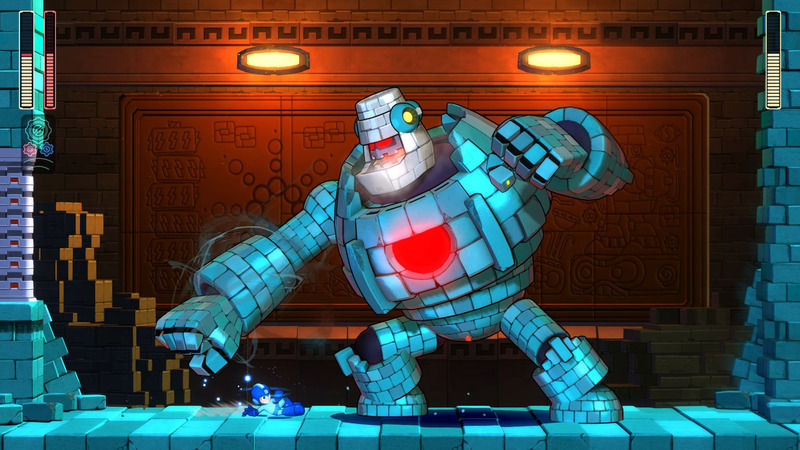 Mega Man 11 sticks close to the series’ formula all while adding in just enough to make the game feel new. The Double Gear system isn’t the most significant change ever, but it does add a few new layers of depth to combat. Fans have been asking for a classic Mega Man game for years and Capcom is finally ready to deliver. Mega Man 11 is out October 2 on PS4, Xbox One, PC and Switch.